Every interaction with a user of our service or product is an opportunity for customer experience improvement. Omnichannel provides users the freedom of making decisions in a way they want to personalize their profiles, so they can receive targeting information. Organizations which conducted that approach have a bigger chance for success because they are creating a close relationship with their customers. Improvement of customer satisfaction also creates loyalty. What are the Key Elements in Omnichannel Customer Experience? Consistency. This element refers to your strategy and the expectations of your users regarding getting the full experience when they interact with a company. An expectation of consistency is about layout and the consistent position of buttons. Availability. This is about choosing options, offering more possibilities and different forms of experience. In addition, it gives users the ability to communicate with a particular company based on their personal habits. Channel-Neutrality. Competition between different channels is no more important. Now they work together to provide the best possible user experience through touchpoints. This enables channels to be neutral. Context-Optimisation. This is totally contradictory to channel-neutrality. It enables maximizing the worth of an OmniChannel approach. Seamlessness. Possibility where customers can pause activity and be able to continue it later from a different touchpoint. Multi-Channel is defined as a various approach in which customers chose a channel through which they want to communicate (e.g. telephone, SMS, e-mail, web chat, messenger). The main problem is that data and information are stored in different repositories. So it requires enormous knowledge of agents and patience by users because it takes time to find them out. Therefore we can conclude that it takes time and money for both sides. Unfortunately, in a lack of effectiveness, reports can’t be precise enough. Omni-Channel achieves exactly what Multi-Channel doesn’t. It connects all communication channels in one, main channel, where all data and information are present. Here we notice that we can interact with users through a channel which they prefer the most and even have pieces of information about other channels which they use. There we notice space for cut down on costs and increase of effectiveness. Therefore, by orienting on users we provide them a unique experience. Recognize them (Personalized communication). Customers are expecting from us that we know the history of his inquiries from last interaction. Show them that you know them (Give them what they want). Aim your promotions to make personalized offers. Enable them to present needments (Invest in social, retail and mobile channels). Allow users to express affection so they can be known by other people over their observation, idea, and advice. Value them (Give them the freedom to manage whole shopping progress). Giving them rewards for loyalty, a connection between you is growing up. With such relationship cooperation based on trust and previous experience goes on. 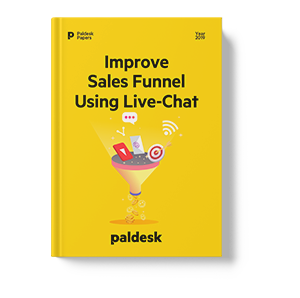 If you need powerful Live Chat and Help Desk tool, Paldesk is a great opportunity for your business. This software helps you improve customer service through all channels of communication in the most effective way. Channels that are included are Web chat, Mobile Applications (SDK), WordPress, Facebook, Twitter, Viber, Email, Drupal, and Slack. Access to inquiries from all of those channels is in one appropriate dashboard. Predefined Answers. Saved responses on FAQs make answering questions faster. Set Automated Responses. Determining an automated message for incoming customer inquiry. Smart Chat Routing. Direct chats to the corresponding agent. Manual Chat Transfer. Switching chats between agents insensibly. OmniChannel User Identification. Paldesk certainly recognizes and registers visitors on your web. You can connect other channels or social profiles they arrive to develop unified customer evidence. Customizable Chat Widget Design. Chose optimum installation and color. Compatibility. It ’s adaptable with Firefox, Chrome, Microsoft Edge, and Safari. To prevent juggling multiple accounts, open browser windows and logins it’s important to engage and reply to your clients. Through the live chat button, you can simply initiate a chat with them. It opens a chat box and immediately sends a message to agents location. Paldesk provides customers better service together with faster problem solving and selling more products. This tool can help businesses with diversified chat operators in different crews or divisions. Also, it’s excellent for startups and entrepreneurs for handling their beginnings with a live chat channel. To apply all of those features to your business, first of all, you need to create Paldesk account on their website. 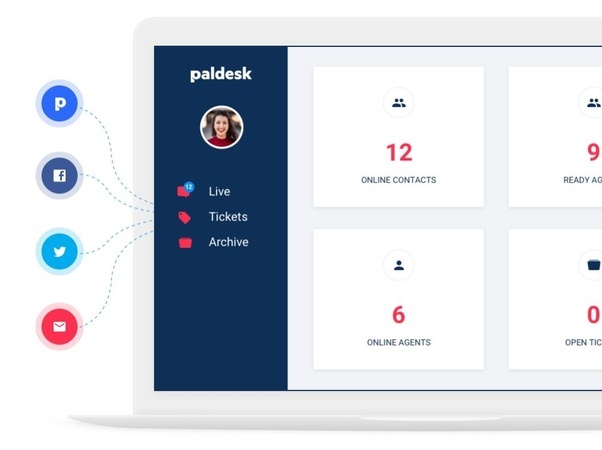 Before starting to use the full version you can try out Paldesk – Live Chat & Helpdesk software 14-days for free without credit card required on start. For more information about pricing, you can check out it on pricing page. Immediate Access to Help. Customer support is available immediately and it’s real-time communication so it helps to improve customer experience and resolution time. Personalized Experience. Paldesk allows users to create experience according to their affinities. Easy to Find & Use. Live Chat is based on a friendly interface so customers are disposed to find the solution and besides that to ask additional questions. Convenient. Visitors don’t like to lose their priceless time spending it on waiting for responses from agents, because it makes them nervous. Live Chat gives them a possibility to start up chat session when they want or pick to be contacted by agents in selected time. Customizable. 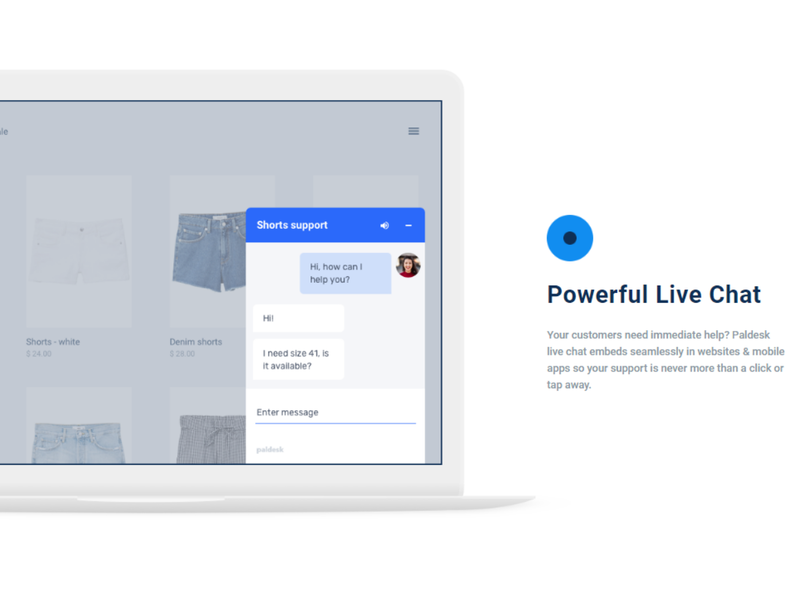 Paldesk Live Chat allows you install live chat widget in just a few clicks. It gives visitors the opportunity to personalize it according to their needs. This is customers experience with Paldesk. Nowadays, that business has grown enormously, we can realize how organizations want to cut down the costs everywhere it’s possible, keeping up with customer expectations and satisfaction. OmniChannel makes it possible. It enables clients to contact HelpDesk through the channel which they rather prefer regardless of the type queries they have because all channels are connected together so agents can react very quick and effective. When clients experience this kind of service, that adapts to their preferences and habits, it automatically increases their satisfaction and creates loyalty to service. Therefore such service requires analysis of data, their storage and its usage in the given moment. Storing data helps to create personalized content, implement knowledge of problems and predict future customer needs. All organizations which are oriented on customers and have constant touch with them should consider the introduction of OmniChannel Customer Experience concept into their management. Tools like Paldesk are greatly facilitating their implementation in a system of companies. It helps that service can continuously progress. Hence organizations which apply it are in a better position than the competition.